Police said the woman beat the puppy with a broom handle then put it in a trash bag and left it in a dumpster. 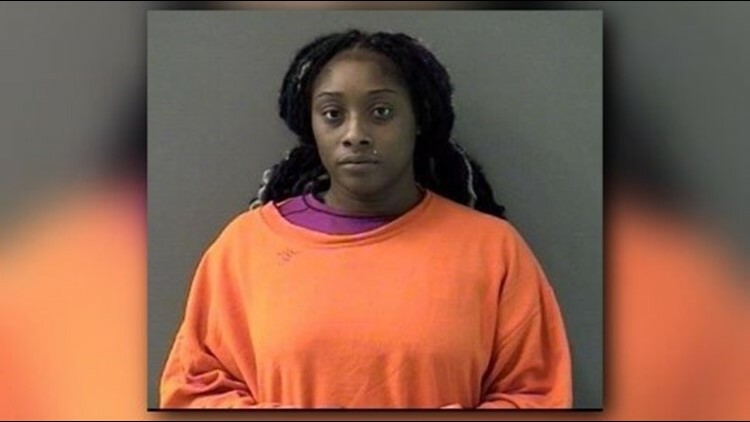 KILLEEN, Texas — Killeen Police arrested a woman for allegedly beating a puppy with a broom handle then putting its body in a dumpster, according to an arrest affidavit. Takeshia Antwanette Atoigue was arrested October 6 and charged with cruelty to non-livestock animals: torture. According to the affidavit, police were called to 2317 Botanical Dr. just after midnight. The witnesses said they saw Atoigue beating the puppy with the metal handle of the broom and could hear the dog making noises. They told police they later saw her put a trash bag in a dumpster. Police searched the dumpster and found a six to eight week old puppy. According to the affidavit, the puppy was lifeless and stiff. When questioned, Atoigue told police the puppy was hers. A medical report from the El Cento Pet Medical Center showed the puppy had blood in its lungs and stomach, along with bruises on its head and scrapes on its legs, tail and neck, according to the affidavit.